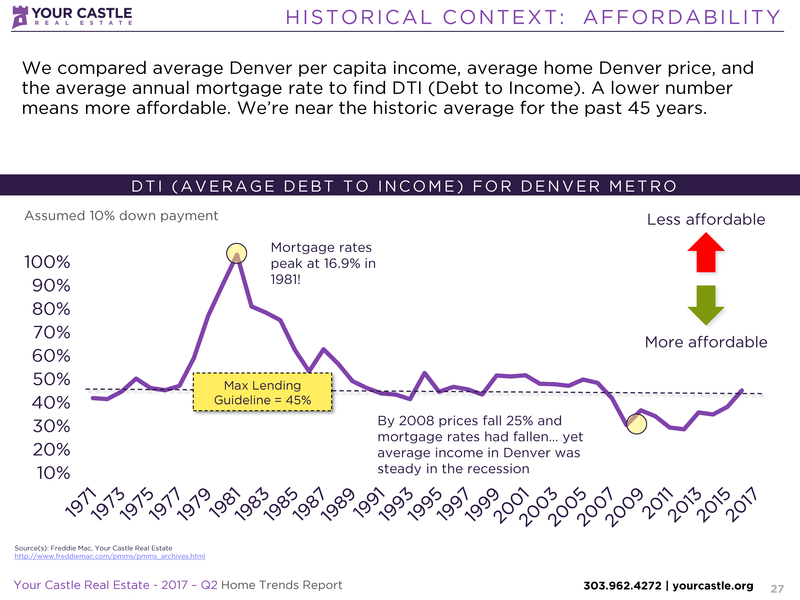 The chart below shows that the affordability of Denver home prices is right where it should be. However, it FEELS bad because 2009 was off the charts, in terms of affordability, after the banks crashed our economy. The housing market is going to continue to get more competitive because the population continues to increase and lending guidelines are loosening, allowing more buyers in that maybe shouldn’t buy. 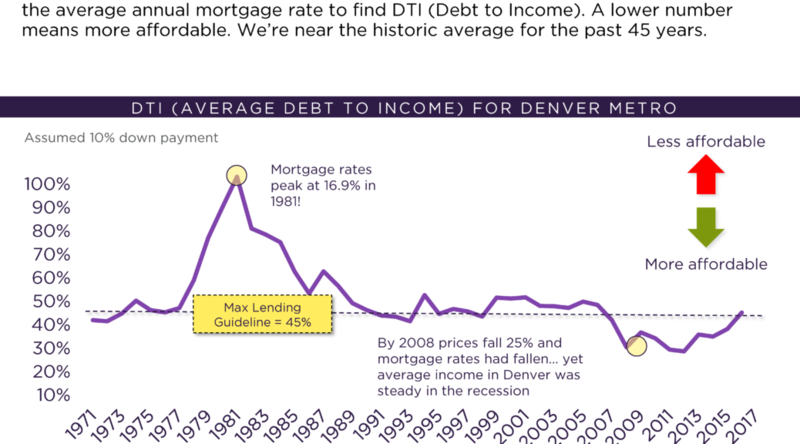 Buyers can now go up to a 50% debt-to-income (DTI) ratio and direct FHA lenders can lend up to a 58% DTI. The results of this are yet to be seen, but it’s a frightening proposition and will likely lead to more foreclosures in the future. But not necessarily because of decreased prices. More than likely the foreclosures will happen as a result of buyers overextending themselves.